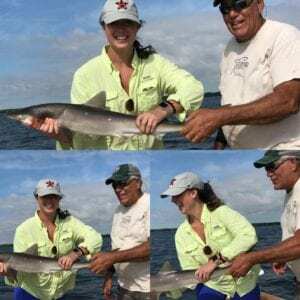 The majority of our Tampa Flats and Bay Fishing Charters this month have been with folks that have really just wanted to bend rods catching and releasing fish. They couldn’t have picked a better time to do that. 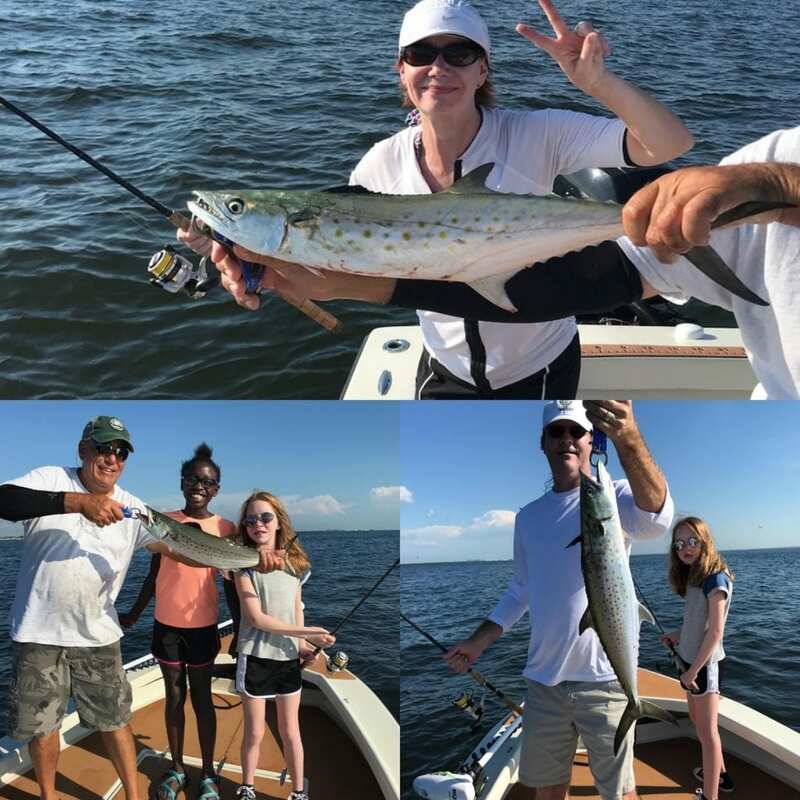 Our summer run of Spanish Mackerel are here and they are some of the largest ones that have been caught on our charters. These toothy fish not only bend rods but they pull drag and fight. They are like bullets in the water when they slam the bait so you better hang on! 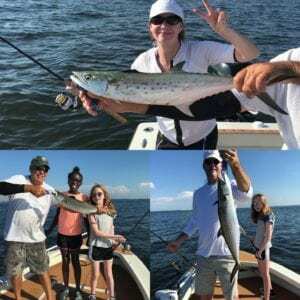 Fishing for Spanish Mackerel is especially good for the kids as its usually a steady bite and keeps them interested and excited . Its a great way to get the kids interested in fishing. Of course the adults love it too! I always love the look on a customers face when they reel one of these toothy speedsters up and see the razor sharp teeth that they can so easily slice through a line with. Along with the Spanish Mackerel we have mixed it up a bit and put a line out to try and catch Jaws! We have caught any monsters but we have hooked into some Sharks that will pull drag on the light tackle we use. The Spotted Sea Trout bite has been very good this summer. 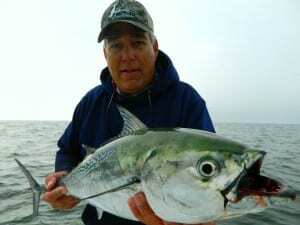 Our customers have been both catching and releasing them and also keeping a few for dinner. They do make great table fare baked,broiled or fried. I expect the bite to continue into August. Last but not least is our Mangrove Snapper bite. It has been very good. Summertime when the water heats up the Mangrove Snapper move into our bay in droves. 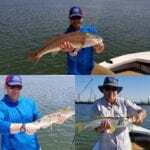 Fishing Tampa Bays many artificial reefs,rock piles,and channel edges can produce some very nice catches. The Mangrove Snapper is some of the best table fare Tampa Bay has to offer. We have many customers that hire us to specifically target them they are just that good to eat! 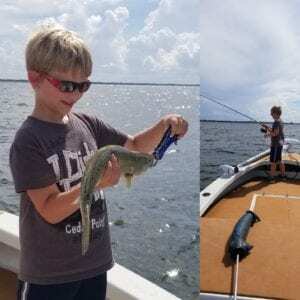 Tampa Bay has a variety of offerings when it comes to bending rods and catching fish. 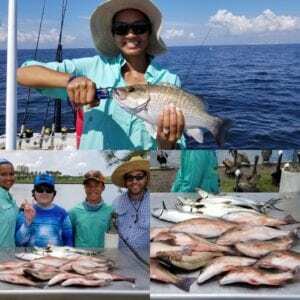 Our family friendly fishing charters are a great way to spend a day on the water with family or friends. Whether you want to catch and release or take a few home for dinner we have to covered. We will clean and bag your catch for you so you can take it home and eat it fresh or if you don’t have a place to cook it we can recommend a local restaurant that will cook the catch of the day for a very reasonable price. 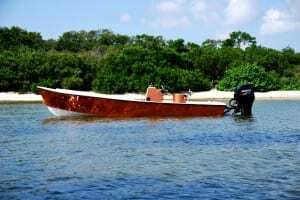 Don’t delay book your next adventure with Tampa Flats and Bay Fishing Charters.